The essence of Shu Ha Ri is, in the beginning, one focuses on learning the basics through imitation (Shu), next, the focus shifts to understanding principles, philosophy, meaning, and applying that to oneself (Ha), focus finally shifts to self-directed teaching and innovation (Ri). Shu refers to the stage of the beginner. This is the stage where everything is new to the incoming student. He is bombarded with large amounts of new information and may feel overwhelmed by it all. At this stage, the would-be practitioner must discard all that they believe they know. Most beginners think they know a great deal already about what is kendo is. They have watched many instructional videos, read books, visited you-tube daily, and have even bought a shinai and perhaps swung it around in the backyards. But in truth, they are bringing nothing of use to the dojo when they do this. In the Shu stage, one should be a blank slate, ready to absorb all that the teacher is giving. Instruction is mainly demonstration with the expectation that one will attempt to duplicate what was shown. Duplication of what the sensei does is the essence of the Shu stage. It is a vital stage, for it is now that kihon or fundamentals will be learned. This is when the muscles will remember from those endless repetitions that you think the sensei is not paying attention to. It is not the time or place to elaborate on your theories of how this or that waza could be improved. These wazas have survived because they worked in order to save a swordsman life at one point. The fact that he was alive to teach is was proof of its efficiency. I would venture to say the teaching method adopted in this stage of practice has its root in the apprenticeship. The Ha stage begins to take form when the budoka has spent at least a decade of serious practice. At this point, the basics should have been learned and the muscles will have formed the necessary memory connections. If the instructor is a good one, along the way she would have begun to transfer more than just the bare essence of physical instruction. Instruction with your teacher is still necessary as she continues to provide the example for your progress, but the kata/waza starts to become your own. As such, one may start to look carefully at the timing and rhythm of the kata, or begin to think about the real concerns of distancing. More important, some of your identity may begin to surface in your budo. Slight adjustments may start to be made to fit the kata/waza to your speed or strengths as you begin to internalize the kata. For most budoka this is the hardest stage. The beginning was full of excitement, a new technique was always waiting in the next trip to the dojo. And once you showed the sensei you had a grasp of this new waza, maybe she would teach you another. Thus, the motivation to continue was high. Practice is rather different as one progress through the long path of the Ha stage. The introduction of new katas are technique are rare, indeed the instructor may not acknowledge you for some time, occasionally stopping you mid kata to correct the smallest detail that you are still wondering how he noticed. This is when your kendo begins to assume a personality. This is where the balance of the individual character and the teachings of the sensei is hard to maintain. With the kihon understood, one now starts to learn the underlying principles and theory behind the technique. Now more than ever it is important to start to delve into the deeper meaning of the movements and techniques under the continued guidance of a teacher. The student might start to branch out and seek instruction from others and incorporate this into his budo. The Ri stage is when one leaves the umbrella of their instructor behind, but also realizes the spiral staircase of keiko leads back to the self-directed refinement of the basics, as one has learned that the true mastery lies in the mastery of those core teachings. 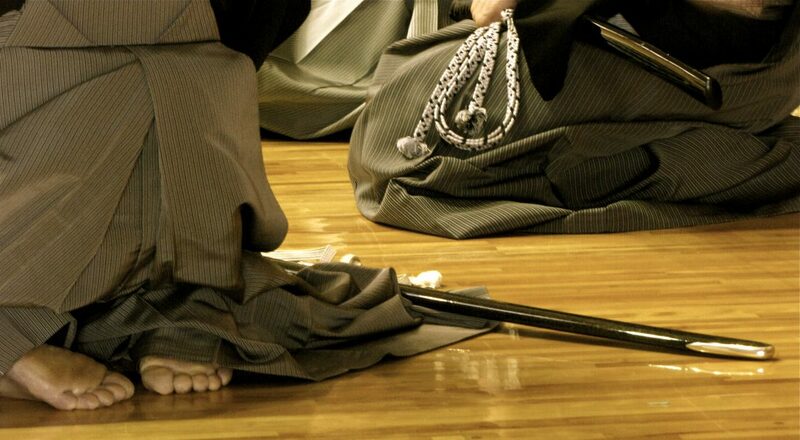 Categories: Iaido, Kendo | Permalink. The eligibility date for promotional testing is approaching and that has inspired me to reflect on a few things. I have maintained a steadfast method of how I approach regular practice and shinsa preparation that has been forged under the guidance of my sensei and instructors. Those in the kendo community often speak about, some boast, about the difficulty of kendo examinations as one ascends in rank, and about the “grueling” 8th dan test. Quite a bit of it comes from the National Geographic documentary some time ago. Miyamoto Musashi said “the way in training.” Endo sensei told me a few times “the answers will be found in keiko.” Nevertheless, my analytical side peeked out and asked “what do the pass percentages look like?” The All Japan Kendo Federation has since 2012 it seems, adopted the practice of posting the shinsa results online for Kodansha tests. I wondered as to the trends in attempts and pass rate percentages, and also would differing ranks display different trends. I assumed that the trends would be differ between iaido and kendo but have learned many times not make assumptions, especially when there is data. The plots in the left panel below shows the number of people that attempted the shinsa as a function of year. The population that attempted the test for 6th, 7th, and 8th dan, are given as the solid blue, red, and black curves, respectively. The right panel displays the pass percentage as a function of year. The curves for 6th, 7th, and 8th follow the same designation as the left panel. The population of iaido practitioners that attempted the 7th dan in each year is roughly 40-50% of the 6th dan that attempted, whereas in kendo, the fall off is around 25%. The population that show up at the iaido promotional exams pale in comparison to kendo, comprising up only about 6%, 3.5%, and 4% of the kendo populations that attempted the 6th, 7th, and 8th test annually. The data revealed that the 6th and 7th dan pass rates for iaido have been similar and hovered around 20-22% for the last five years aside from the increase in 2015 for 6th dan. However, for kendo, 6th and 7th dan pass rates display remarkably corresponding trends with a overall slight growth, yet preserving a clear separation of 3-4%. Lastly, I compared the trends of 8th dan iaido and kendo pass rate percentages. The plots below presents the pass rate percentage for the 8th dan promotional exam for iaido and kendo as the black and red curves respectively. For the 8th dan promotional exams, as expected, the pass rate percentage for kendo has remained consistently below 1% peaking in 2013, where it came dangerously close to breaking through the event horizon, and as if in response to the affront fell the next year. This trend is not seen for iaido were the pass percentage has varied from 4-6% and does not display an equivalency with that of the kendo curve. I make no conclusions about the results presented, but found the brief study as source of motivation to continue to refine myself through the daunting and rewarding way of the sword. Most of my time has been spent in academia and as a result I began question what kendo ranks might equate to in terms of the academic ranking system. Below is a chart that is the result of that exploration. As I put this together I also thought about what I perceive as a difference between the AUSKF and AJKF in regards to where the sensei ranks begin. The AUSKF defines kodansha ranks as 5dan or above, whereas AJKF defines it as 6dan or above. It the framework I have designed, it means the difference between being a sensei with master’s or doctorate. I fully acknowledge that the relations I have outlined may not be agreed upon but it does get you thinking. 3RD KYU: Angela Gibson, Gina Konstantopoulos. 2ND KYU: Noriko Ambe, Jim Chandler (ZenBuKan), Jordy Davis (ZenBuKan), Sangki Lee (DFWKIK), Ashley Moore (DFWKIK), Celeste Rosell (ZenBuKan), Denise Verastigue (DFWKIK), Sean Zhu (DFWKIK). 1ST KYU: Derek Kordash, Zachary Park (ZenBuKan), Benjamin Sardinas (SFKC). 1ST DAN: Frank Campione, Ahmed Gaballa ElSayed, Alec Milton, Allen Smith, Korhan Tekin. 2ND DAN: Pedro Batista, Frank Burke, Pamela Carlson (DFWKIK), Rodney Castillo (SFKC), Michael Sareyani, Pedro Sors (SFKC), Steven Touchi (NCKF), Jeremy Wong. 3RD DAN: Terry Sewell (DFWKIK), Kimiye Touchi (NCKF), Edward Vierk, Yoshimasa Watanabe. 4TH DAN: Brian Beckford (Shidogakuin D.C.), David Chiu (Simon Frazer U), Hiroaki Fukumoto (PNKF), Takanori Furuta, Tomoyuki Hirasawa (DFWKIK). 5TH DAN: David Cooper (DFWKIK), Monica Iwakabe (Rocky Mountain).